A smashing set of games. 2014 should hopefully be to the Wii U what 2013 was to the 3DS. Nintendo’s line-up is already looking strong, and it’s likely they’ll announce more titles in the first half of the year during Nintendo Direct broadcasts, just as they did last week. With Super Mario 3D World and The Wind Waker HD under their belts, they’ve shown how to make high quality games for the system, so here’s hoping next year will be even better and they’ll turn the dwindling sales around. Platinum Games are taking Bayonetta to Wii U, with the help of Nintendo who are funding the game. While this caused somewhat of an uproar at first, it’s clear that Platinum know the hardware after their success with The Wonderful 101 and obvious that Nintendo are looking to secure some great third-party exclusives to stand alongside their top first-party franchises. Bayonetta 2 continues with the hack and slash gameplay of the original, though has a redesigned Bayonetta and even a co-operative mode to mix things up somewhat. Nintendo aren’t directly involved in development, meaning Platinum have creative control and are working on improvements based on feedback they received after the release of the first game. It will also incorporate touch controls in some form, and while there’s no firm release date it will be coming at some point next year. Donkey Kong Country returns once again with Tropical Freeze, which won’t completely change up the gameplay but will still offer a superb and polished platforming experience, which builds upon Returns with two new playable characters: Cranky Kong and Dixie Kong. Cranky will have a pogo move, while Dixie will be able to reach higher areas. These join Donkey and Diddy Kong, the duo who can smash through things and use a jetpack respectively. Gameplay takes the form of a 2.5D platformer and remains extremely fun, with some excellent boss battles and the return of mine cart and barrel sections, though the latter is now more 3 dimensional in nature. The game releases on February 21st in both Europe and the United States. Just announced during Nintendo Direct last week, Hyrule Warriors – still a working title – shows that Nintendo are keen to outsource development of spin-offs from their core stable of franchises, with this game having a large focus on combat compared to traditionally puzzle-centric Zelda games. Using a similar engine to Dynasty Warriors, Tecmo Koei are developing a Zelda title where Link fends off dozens of enemies at a time, with previous bosses from the series fighting alongside smaller foes. There are some devastating sword attacks at Link’s disposal, as well as the use of familiar items such as bombs in combat. It doesn’t appear to be as forgettable a title as the Wii Zapper spin-off Link’s Crossbow Training was, but rather a new direction for the series, with an art style which resembles both Skyward Sword and the initial Wii U Zelda tech demo. This is all a precursor to the next proper entry into the Zelda franchise, which we don’t know much about yet. We’ll hopefully hear more about that at E3, but until then we have Warriors to tide us over. With every Nintendo console comes a Mario Kart game. It’s always just one, but it’s a game which you find yourself playing years after the console’s lifespan – a really impressive feat for a series, no doubt down to the extremely fun multiplayer component. Mario Kart 8 is no different, taking the refined gameplay of previous titles, along with underwater, gliding and everything, and adding in a new anti-gravity mechanic. Essentially, it seems to be a blend of all the greatest part of Mario Kart before it, but it’s fun as hell, particularly when you’re against a friend, and another sure-fire winner for Nintendo. The high definition visuals are also worth noting too; this looks far better than any Mario Kart game before it, with some stunning effects and excellently animated characters. Running at a solid 60 frames per second, the high-speed action will look extremely solid, even in local multiplayer. We’ll find out exactly how good it is when it releases in spring next year. This is it. This is the game I’ve been waiting for, and probably the game that will take up most of my time next year. Following on from the success of Brawl, this will evolve the series’ use of existing characters and solid fighting mechanics to create an essential fighting mash-up. There will also be a 3DS counterpart, which we talked about yesterday, though the real focus is on the high definition, home console version of the game. I have no doubt that I’ll spend a lot of time playing multiplayer with friends, and a few more Wii U Pro Controllers will need to be purchased, due to lack of support of GameCube pads. The gameplay will blend both the fast-paced and frantic action of Melee with the slower, more methodical (but still fast) attacks of Brawl, which sounds just about right to me. In terms of characters, the roster has expanded even further to include third party games, with Mega Man joining the fight and Sonic making a return, alongside the Wii Fit Trainer and Villager from Animal Crossing, as well as the recently announced Rosalina & Luma duo from Super Mario Galaxy. Characters will also feature a degree of customisation, though exactly how this works has not yet been confirmed. With Namco Bandai co-developing, it might have a different feel altogether, but here’s hoping they keep the competitive elements which make the series so good. X doesn’t even have a proper title yet, though it is expected to launch next year. From the developers of acclaimed RPG Xenoblade Chronicles, Monolith Soft, it features a similar style but with one distinct difference: mechs. 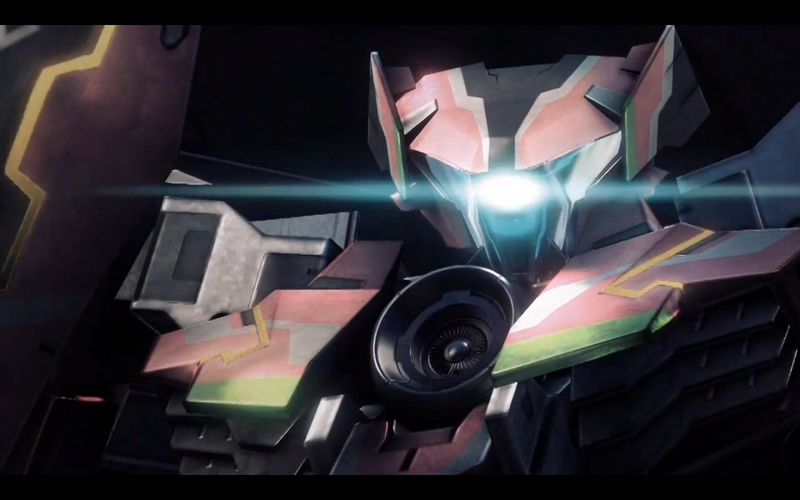 These mechs are known as “Dolls” in the game universe, and play into the exploration aspects, as well as being able to transform into vehicles such as motorcycles or even tanks. They’re aiming to create an incredibly large game world, which dwarves many other RPGs on the market, and while online would be welcomed that part of the game is still very much under wraps, as is much of it beyond what we’ve seen in the initial reveal. We’ll see you after the weekend, when we’ll take a look at some of the biggest Xbox One and PlayStation 4 games for next year. Looking forward to Mario Kart 8 :) and most likely a bit of Donkey Kong for good measure never really played a Smash Bros game always seemed to look quite simple for a brawler but always highly praised. As I said yesterday the Wii U line up for 2014 just looks so damn good imo, I can’t wait. I picked up my Wii U a few weeks before the PS4 launch for £200 and I have no regrets at all – New Super Mario Bros U and Luigi U which I both got with the console are superb and Mario 3D world has to be my favourite game of 2013. IGN did a Bayonetta 2 gameplay vid a while back and it looks great, the first one was brilliant fun on my 360. I’ve got that, donkey kong, smash bros and mario kart pre-ordered so far, but I’m betting I’ll pick up all of the games on your list. Couldn’t agree more! I bought my Wii U for the Nintendo pedigree. I bought the PS3\4 for everything else :-) I picked up my Wii U back at the beginning of the year when HMV were flogging the premium version for £200 for a limited time and haven’t looked back. I just wish they’d do a “proper” Donkey Kong game a la DK64 (which was absolutely sublime – though I’m aware that was a Rare developed game), and a “proper” Mario game a la Galaxy or even Sunshine. They haven’t ruled out SMG3 on the Wii U, so cross fingers. If you’ve not tried Mario 3D World tho give it a whirl – took me back to the N64 days! From everything I’ve seen the new Donkey Kong is looking great, they need it to be a success to get their year off to a good start and hopefully see the Wii U sales pick up. Yeah, I bought 3D World today :-) will try it out later. Next year’s gonna be sweet. I can’t wait for the Zelda reveal. Will Mario Kart run at 60 during split screen as well? I know it dropped to 30 on the Wii, not that it mattered too much. Yep, in 2 player at least. the only title there i’m really excited about is X.
i may have gushed once or twice about how much i loved Xenoblade. one of my games of the generation, nay, of all time. so a semi, sort of, sequel definitely has my attention. with what Monolithsoft achieved on the Wii, they should be able to do something absolutely amazing with the more powerful Wii U.
some of the maps in Xenoblade were freaking huge, and you could quick travel anywhere with a map without any loading, only when you went to a different area. and the combat was sublime, starts out simple, but it gets more involved later one, when you have to factor the effects different attacks do, especially when you get into the multicharacter combos. then you can string attacks together then set up chains of status effects. like a first attack might set a break status, then the next attack will set a stun status if the enemy has break status. that game might be enough to make me finally get a Wii U.
although Hyrule Warriors does looks interesting too. like you said, it looks a much better spin off than that archery game.